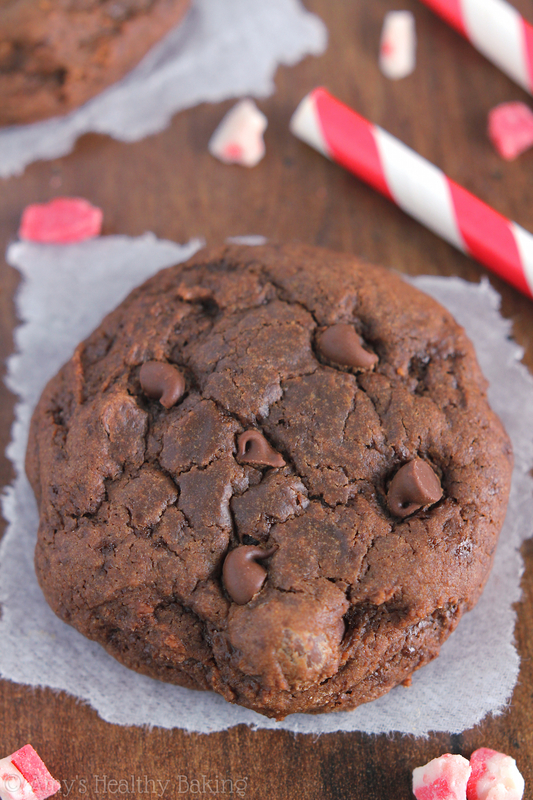 Fudgy, brownie-like cookies with sweet peppermint flavor & 3 types of chocolate. 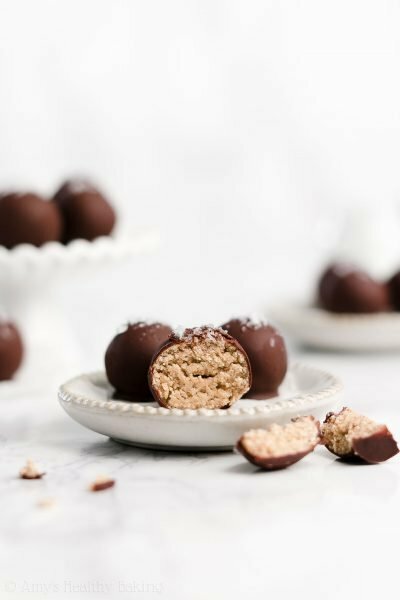 They’re a chocoholic’s dream & perfect for the holidays! 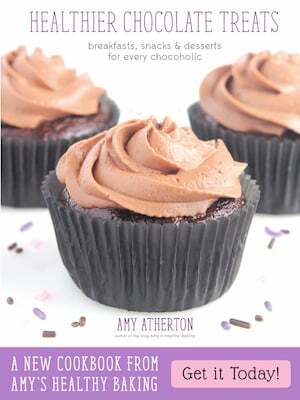 Welcome to Day #1 of Cookie Week on Amy’s Healthy Baking! 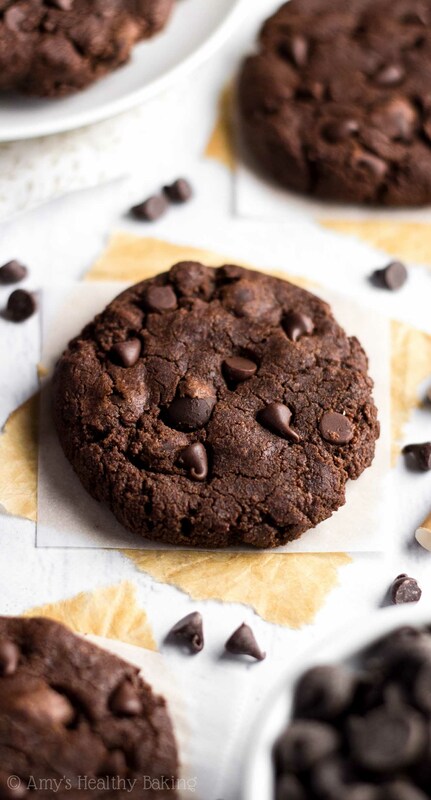 This week, I’m posting a few new cookie recipes on my blog that would be perfect for the holidays, and I’m also sharing some of my old favorites on both Facebook and Instagram. Be sure to check those out—other readers have been raving about them! Although my family ignores the massive Christmas displays set up in stores as soon as Halloween ends and patiently waits until the day after Thanksgiving to begin celebrating the holiday season, we go all out from the moment we wake up on that Friday morning. Christmas carols play from the stereo or radio stations, a rainbow of lights and our Santa topper’s merry smile twinkle down from the tree, and a different festive movie chimes in from the TV nearly every evening. My mom always needs peppermint bark. Always. She prefers the dark chocolate variety, with more dark chocolate than white or peppermint pieces, but just like me, she’s a chocoholic at heart and not too picky when it comes down to it! 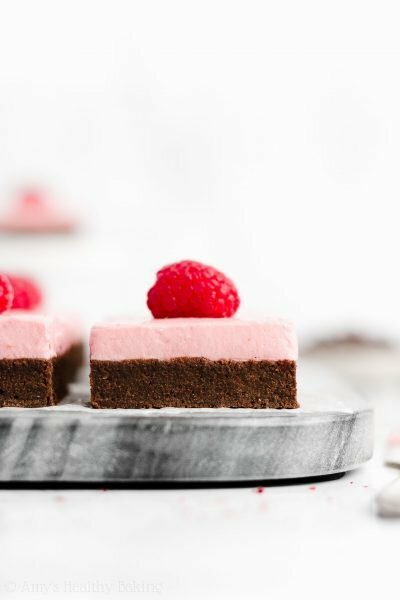 In past years, I counted on finding at least three or four bars of this dark chocolate peppermint bark hiding on the top shelf of her pantry, along with a bag of single-serving squares or individually wrapped pieces, but more recently, she began trying to limit herself to just a single bar per season. Self-control is hard during the holidays, even for a health-oriented family like ours! Because I still haven’t spotted any peppermint bark in her pantry, and because I didn’t want Mom to go much longer without one of her favorite holiday sweets, I turned those flavors into a baked treat instead: these Triple Chocolate Peppermint Cookies! 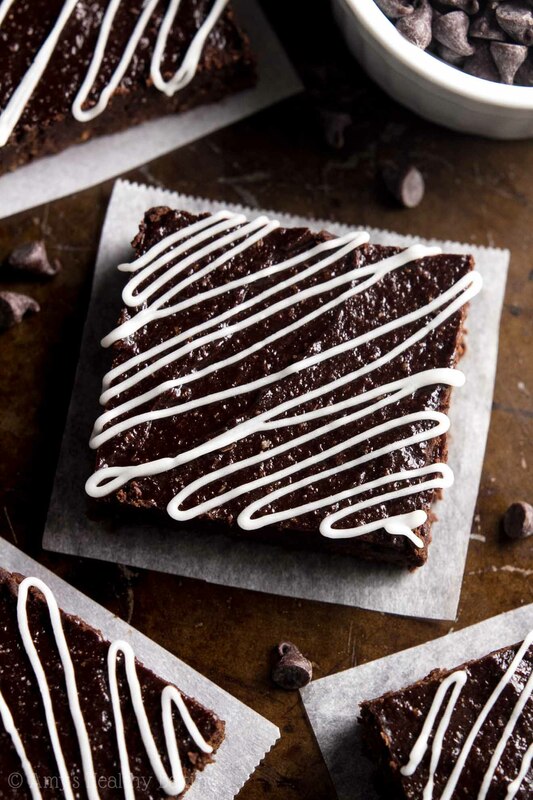 They’re rich and chewy, with the same fudgy texture as brownies, and packed with three types of chocolate. 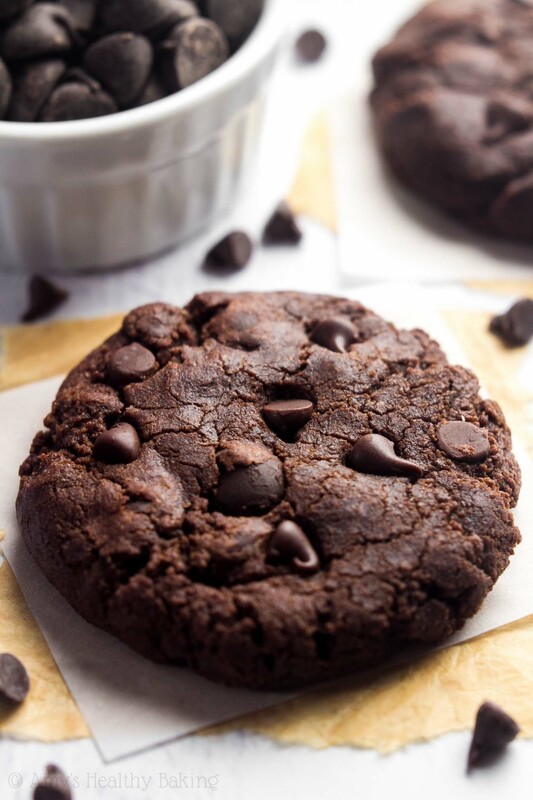 To make these cookies clean eating friendly, the recipe begins with whole wheat pastry flour. 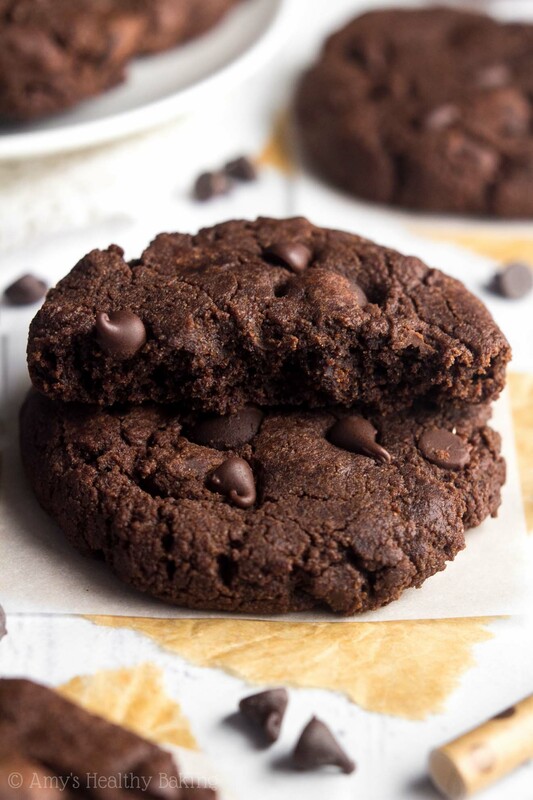 Whole wheat pastry flour is ground more finely than regular whole wheat flour, so it has a texture closer to that of all-purpose flour, which makes it perfect for these chewy cookies. Its flavor is also lighter than regular whole wheat flour, so you can’t really tell that these are 100% whole wheat cookies. They just taste extra chocolaty! Next comes the cocoa powder. 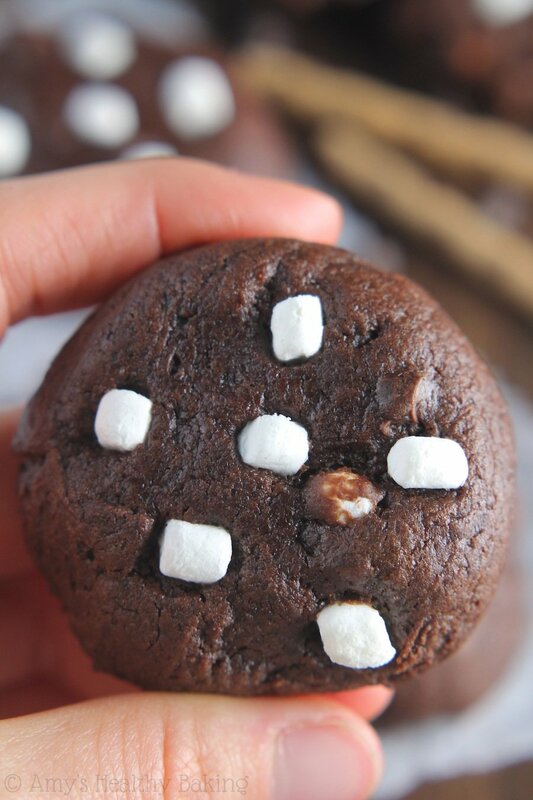 You’ll need regular unsweetened cocoa powder, not Dutched or dark. 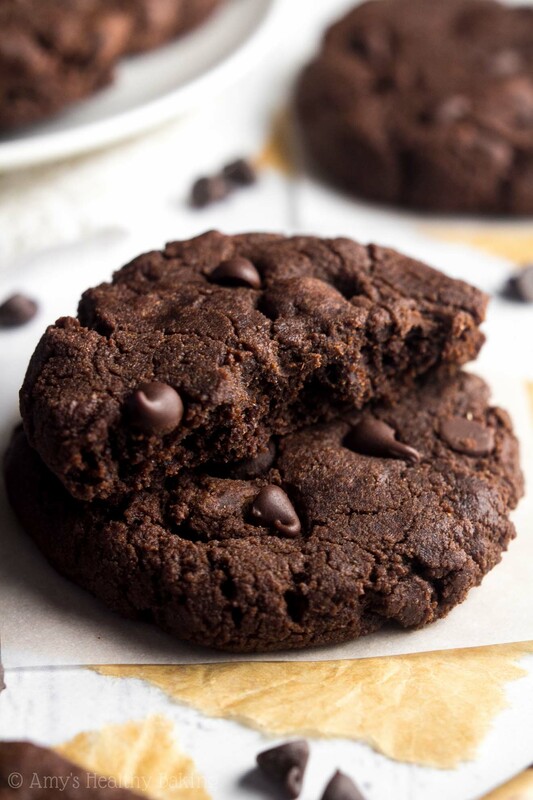 This recipe already contains so much cocoa powder than the cookies taste dark chocolaty without those other special varieties! However, it’s very important to measure the cocoa powder correctly, using either the spoon-and-level method or a kitchen scale. Too much cocoa powder will make the cookies cakey, crumbly, and bitter. I highly recommend the latter option! This is the inexpensive scale that I own, and I use it to make every recipe on my blog. A scale is worth its weight in gold because it ensures that your baked goods turn out with the proper taste and texture every time! 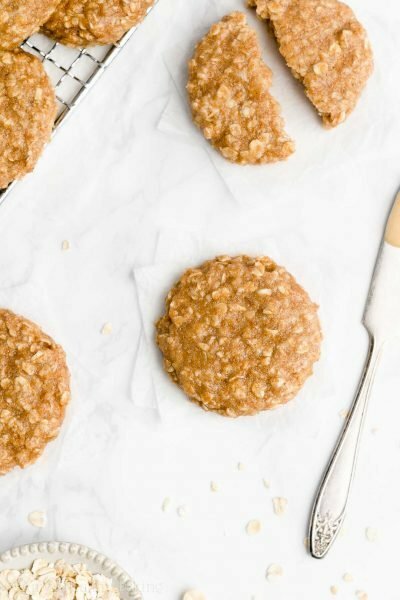 You’ll use coconut sugar to sweetened these cookies and keep them clean eating friendly. And no, coconut sugar does NOT taste like coconut! It tastes very similar to brown sugar, with a subtle caramel undertone, but it pours like granulated sugar. You can find it at most grocery stores on the baking aisle near the other sugars, as well as online. I always include two different types! 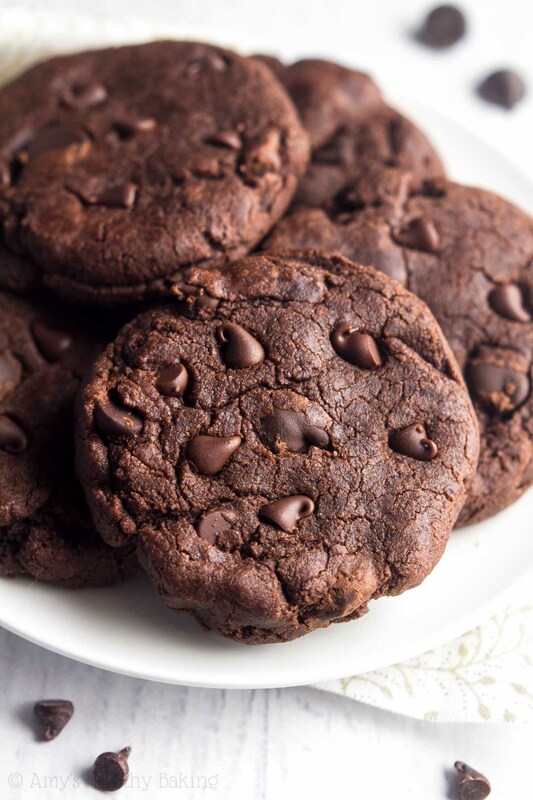 I start with dark chocolate chips for a big burst of chocolate, and I love these because they’re normal sized, instead of gigantic like many other brands. Then I mix in some mini chocolate chips too, which ensures that every bite contains at least a morsel of chocolate. Now… Who’s got the milk?? 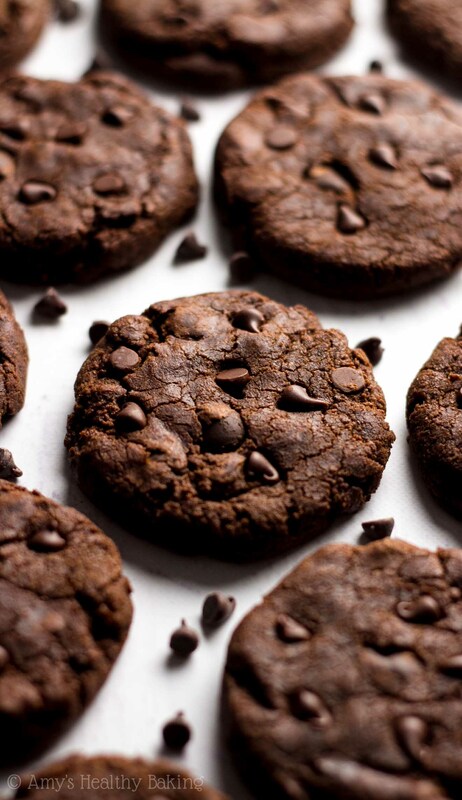 These chewy cookies are a chocoholic’s dream! They have the same fudgy texture as brownies, and they’re packed with three different types of chocolate. The cookies will stay chewy for at least a week if stored in an airtight container—if they last that long! Preheat the oven to 350°F, and line two baking sheets with silicone baking mats or parchment paper. 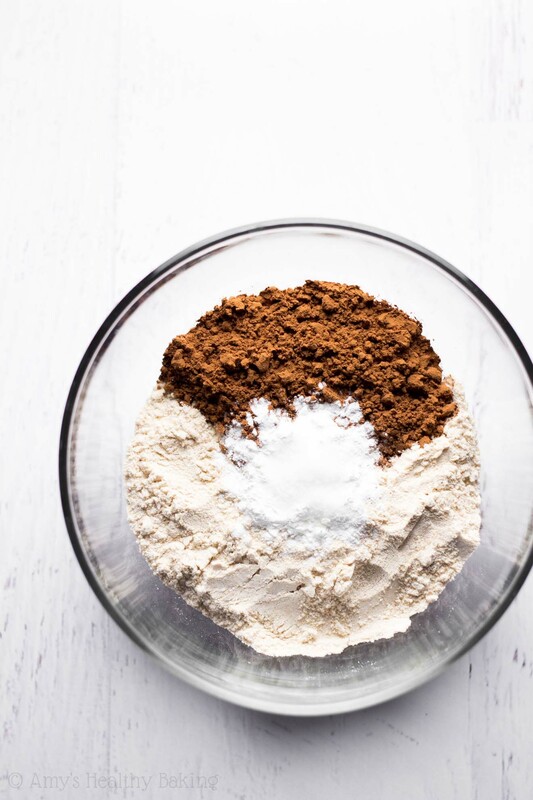 In a medium bowl, whisk together the flour, cocoa powder, cornstarch, baking powder, and salt. In a separate bowl, whisk together the butter, eggs, and peppermint extract. Stir in the sugar. Add in the flour mixture, stirring just until incorporated. 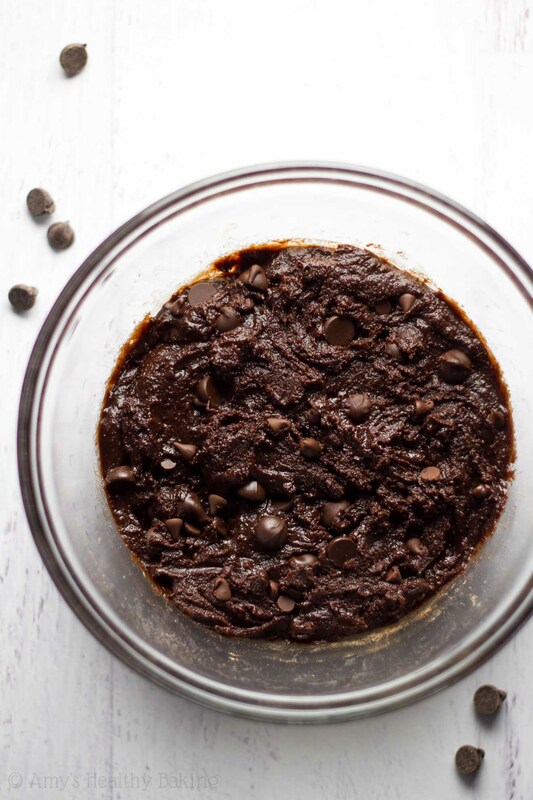 Fold in the dark chocolate chips and 1 tablespoon of miniature chocolate chips. Using a spoon and spatula, drop the cookie dough into 24 rounded scoops onto the prepared baking sheets, and flatten to half of their original height. Gently press the remaining miniature chocolate chips into the tops. Bake at 350°F for 9-11 minutes. Cool on the baking sheets for 10 minutes before transferring to a wire rack. Notes: White whole wheat flour or all-purpose flour may be substituted for the whole wheat pastry flour. 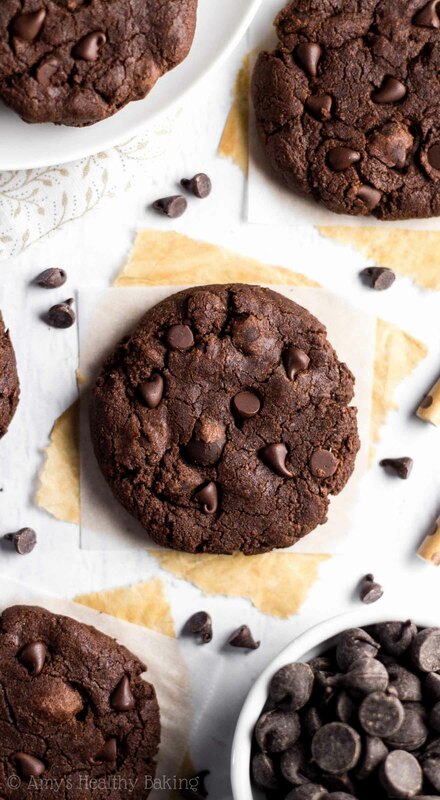 These cookies look super fudgy and lovely. 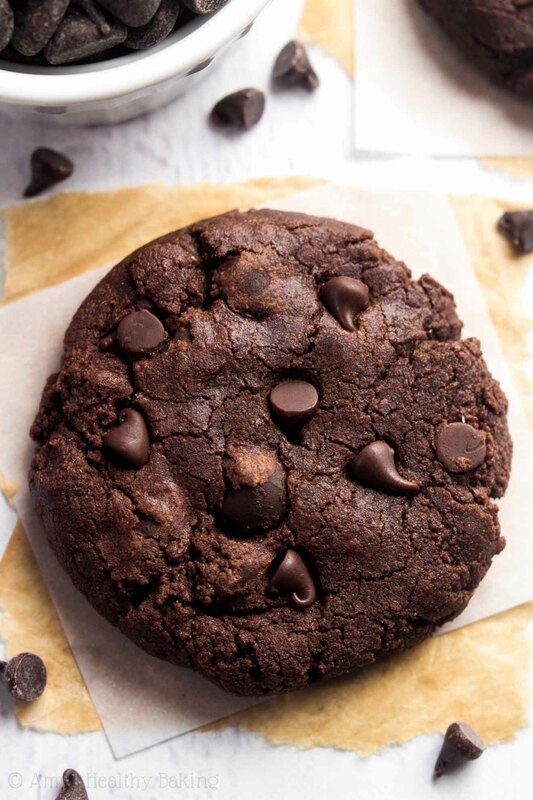 Chocolate + mint is the best. I really like mint chocolate ice cream, and these look even better because there’s more chocolate. Delicious!!! I make them gluten free and by adding a bit of flaxseed to my flour I can make a version of wholewheat and get a bit more fibre into the plain white flour. I’m so glad you enjoyed the cookies Rexine! 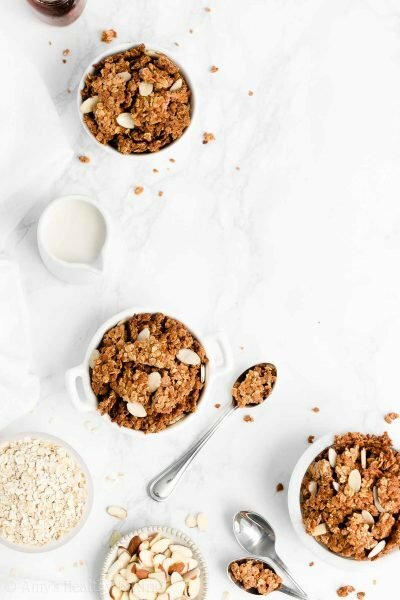 Thanks for sharing your tip about the flaxseed! I love how amazingly moist and delicious these cookies look. I do agree with your mom that chocolate and mint are a great combination and not to be missed this time of year. I think it is a great tip how you mention how important it is to use a scale in certain recipes to make sure that the cookies aren’t too dry. Great recipe & photos! Thanks for your kind words Trista! I’m so glad we aren’t the only ones who adore chocolate + mint this time of year. 🙂 Happy holidays! These look amazing! I love the chocolate peppermint combination! 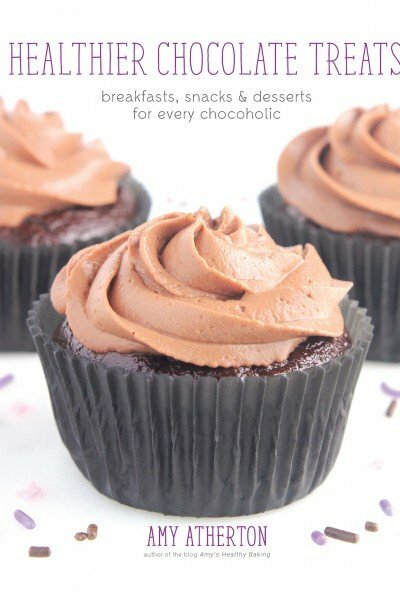 Can I join your “Chocoholic’s For Life” Club?!?! I am, and always have been, a huge chocolate fan. When I was a kid I always picked the ice cream, cupcake, or cookie with the absolute most about of chocolate included!